What Happened at 6 St. Andrew Street? 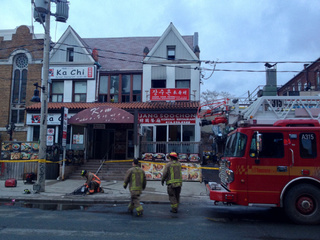 2 dead, 10 injured in rooming house blaze: It’s believed there at least a dozen tenants living on the second floor in what may possibly be an illegal rooming house, with a Korean restaurant on the main floor. Ten people were rescued from the blaze, including an unconscious woman and two children, aged 1 and 4, believed to live in the third-floor unit. The two men, whose names have not been released, were pronounced dead in hospital. Tragedy may have involved an illegal rooming house housing new immigrants and low-income tenants.